IPKN Twinkle Lips Review |Does this Lip Plumper Really works? What is IPKN Twinkle Lips? IPKN Twinkle Lips is a lip tint that promises to glide on smoothly on your lips, providing treatment and enhancement as you glide the product over. This lip tint is intended to complement IPKN makeup but, it should go just as well with any other product in your beauty arsenal. It can be an alternative to the Twinkle Lip Gloss or, you can safely wear both together for a feel, look and color that is uniquely yours. IPKN Twinkle Lips – Does it Really Work? IPKN Twinkle Lips is meant to be either worn on its own or, layered over or under other products. Its formula mostly consists of synthetic ingredients, with a handful of naturally-derived ingredients that also play a moisture-enhancing function. IPKN Twinkle Lips reviews are mixed indicating that different users experience this product differently. Castor Oil: It contains essential fatty acids that delivers a soothing relief to your lips. It also promotes faster healing and helps maintain the ideal moisture content of your skin on a continuous basis. Caprylic/Capric Triglyceride:It delivers intense hydration that deep moisturizes your lips and leaves a better conditioned surface. It also enhances your skin’s natural mechanisms for storing and holding in moisture over a longer period of time. Vitamin E: It nourishes, heals and protects your skin. It supports your skin in restoring the viability of the protective barrier to prevent moisture from escaping through the surface. Persea Gratissima (avocado) Oil: This contains natural components that supply skin on your lips with essential fatty acids and Vitamin E. It intensively soothes your skin and relieves it from chronic dryness and dehydration. Rosa Canina Fruit Oil: It replenishes lost moisture. It also promotes faster skin healing and rejuvenation. Prunus Domestica Seed Oil: It helps rebuild the protective barrier function of skin on your lips. It also helps relieve dryness. Use this product by beginning with clear, freshly cleansed lips. Make it a point to exfoliate when you can. Simply glide the product over or, use over your lip cosmetics. This product is available in eight shades, although only four are currently available on the brand store: touches of orange, brick red, peach and light pink. Reviews show satisfied users although satisfaction with this product is not universally guaranteed. The manufacturer claims that this product does contain parabens, sulfates and phthalates. The pigment turns into a unique shade depending on how it reacts with skin on your lips. It has a sheer, lightweight texture that will not feel heavy on your lips. This product is not available in all 8 shades. Reviews posted by users indicate that the intended shades do not show up as expected and appear to react with the warmth of the skin. Some users do not find it long-lasting as claimed. The beneficial ingredients that have potentially buildable effects are added in minute amounts to this product. The addition of synthetic dyes may irritate skin and, for which, this product is not recommended for use by people who have sensitive and reactive skon. Does IPKN Twinkle Lips Have Any Side-Effects? Is it worth buying IPKN Twinkle Lips? Reviews with before and after photos demonstrate how well this product can complement different skin tones. However, there are no guarantees that this product will work out universally positive results across all users. You need to carefully consider why you might need IPKN Twinkle Lips and how you might use it to get the most value for your money. What is the Price of IPKN Twinkle Lips? IPKN Twinkle Lips is sold at the lowest price of $18 for a 4.5 g stick. Who Should Use IPKN Twinkle Lips? 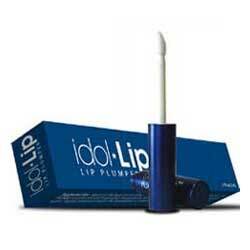 This is a lip treatment that suits users who want to get noticeably shiny lips at the same time. This product is not for you if you prefer a more mattefied finish. Should I use the IPKN Twinkle Lips once or twice daily? Apply and reapply as frequently as you want to throughout the day.